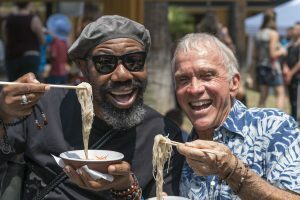 Image courtesy of Kuleana Education Academy. 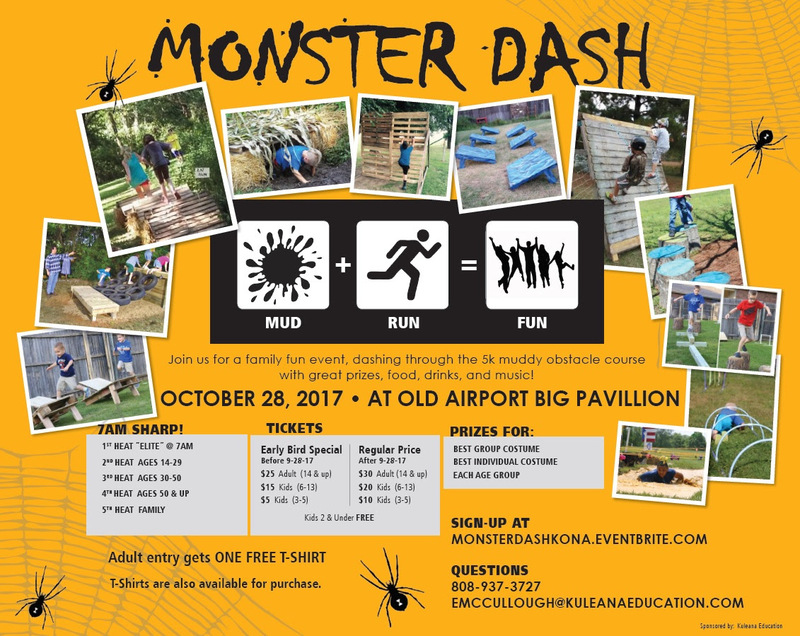 Kuleana Education Academy will host its first-ever 5K Monster Dash mud obstacle course race on Saturday, Oct. 28. 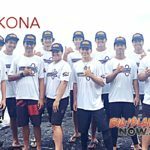 The family-friendly event will happen from 7 to 10 a.m. at the Old Airport State Recreation Area in Kona, with prizes, food, beverages and music. 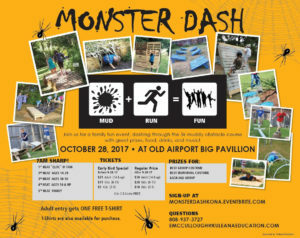 Monster Dash tickets are available for purchase online. 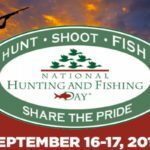 Tickets purchased by Sept. 28 will receive an early-bird discount of $25 for adults, $15 for children and $5 for toddlers. Tickets purchased after Sept. 28 will be $30 for adults, $20 for children and $10 for toddlers. Children two years old and younger get in free. Early birds will be entered to win a grand prize valued at $1,000 that includes a two-night luxury stay in Waikoloa with dinner and activities. Prizes will also be awarded for the best individual and group costume in every age group. 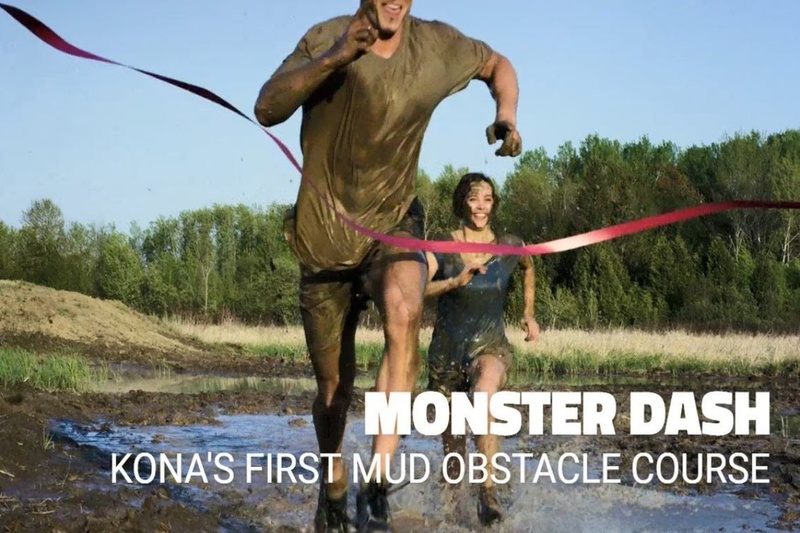 Adult entry includes a free event t-shirt. Additional t-shirts for all ages are available for purchase during checkout. Event packet and t-shirt pickup will be announced before the event. Participants are asked to check their email for details two weeks before the event date. Morning and evening pickup times will be available for all participants. 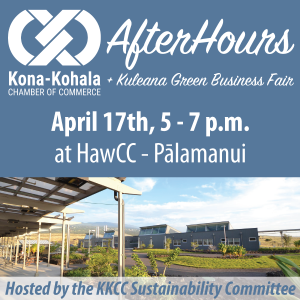 All proceeds will benefit Kuleana Education Academy, a nonprofit school for grades K–8.